Breast Cancer Awareness is a big deal. 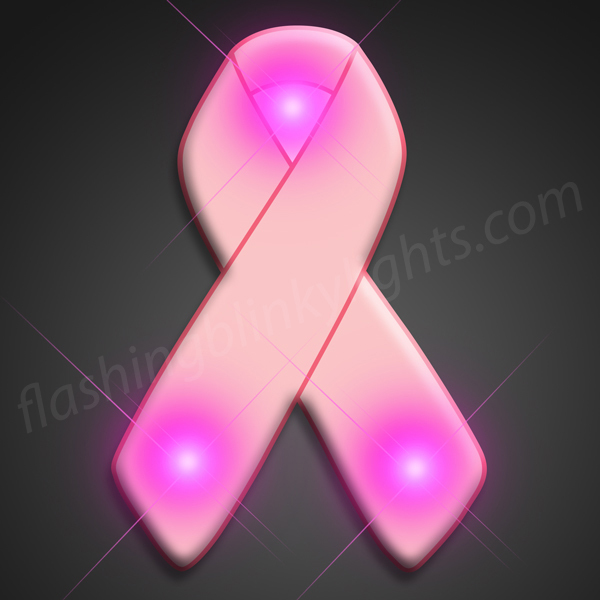 FBL’s collective heart goes out to all strong women and families affected by breast cancer in any way, shape or form. 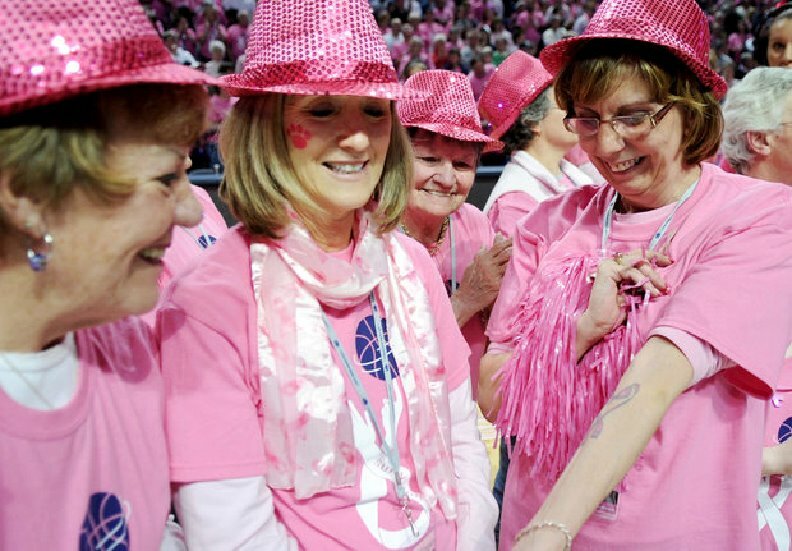 We’ve been there too, plus for many years, we’ve seen our Pink Light-Ups help raise spirits and raise funds for Breast Cancer Awareness, its warriors & its survivors. What a joy that has been. For starters, we strive to keep the price of our classic Light Up Pink Ribbon Pins as low as possible, specifically for Breast Cancer Awareness fundraisers. Our regular customers are no strangers to reselling Light-Ups in a retail setting, plus we genuinely want you to make money for a good cause. This sparkling little light pin is the perfect tool to help spread the message that IT IS TIME for a cure, and never ever give up hope. 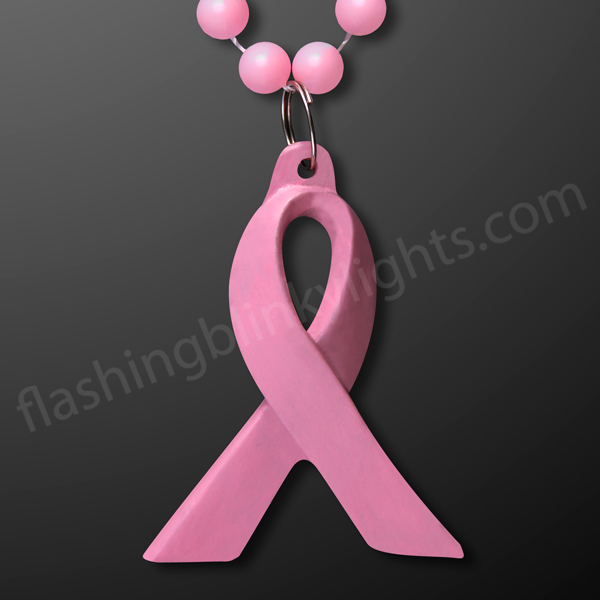 If even lower cost is necessary for your Breast Cancer Awareness fundraiser, we have a totally new option which we’re really pleased to present: it’s a non-light up Pink Ribbon Charm on a Bead Necklace. The absence of LED lights in this one keeps that price down, plus they’re excellent for sharing – you can dress up a huge group of people and still stay within your budget. Now that’s a win win situation! Check out our inspiring customers in action. These lovely ladies are rockin’ our Pink LED Fedora Hats at their Breast Cancer Awareness fundraiser. What a way to bring attention to an otherwise difficult matter. Optimism rules, it really does. We’ve been fortunate enough to create some custom print pins for our inspiring customers as well. Below awesome snapshot is courtesy of Tackling Cancer Foundation. Lookin’ very snazzy for an excellent cause, and what sweet boys to get involved. Good job, mom! That’s the future of America, right there. Many thanks to all who support Breast Cancer Awareness not just monthly, but daily. For some, it’s a 24/7 kind of thing, and we salute you. Once it affects you, whether it be a loved one or yourself, there’s no going back. 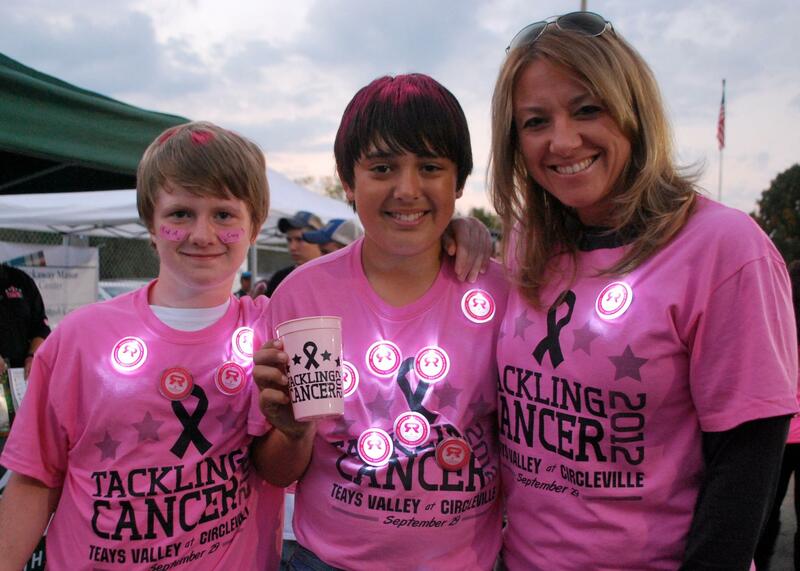 And what better way to keep your head up and spread some joy than with Pink Light-Ups. We’ve got your back, so don’t be shy – call today if you work for a charity or non-profit in need of a discount. It’s what we do here at FBL, we sincerely love to help.